Hudson Valley Wine and Food Fest Announces Event Details. Rhinebeck, New York…..The annual Hudson Valley Wine and Food Festival, presented by WineRacks.com and scheduled for September 7th and 8th at the Dutchess County Fairgrounds in Rhinebeck, is pleased to announce its official schedule and event details. The event will include microbreweries, wineries, gourmet food trucks, shopping, live entertainment, and children’s activities. Chef Vincent Tropepe will be filming an episode of his new reality series, “RAW”, during the course of the weekend, and the Fest also welcomes Certified Wine Specialist Debbie Gioquindo. All seminars are included as part of the ticket price. There will also be other musicians roaming the Fest throughout the weekend. Colleen Cruikshank, Executive Director of the Rhinebeck Area Chamber of Commerce, stated, “this event is a highly anticipated annual tradition that attracts people to our region from far and wide. We are delighted to host this exciting festival, which captures the spirit of the agri-tourism movement in Dutchess County, right here in Historic Rhinebeck”. 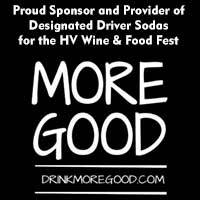 For more information on ticket pricing, as well as a full media kit, please visit hudsonvalleywinefest.com, or call 845.658.7181. The Hudson Valley Wine and Food Fest is a celebration of the “foodie” lifestyle in New York. With hundreds of wines, craft beers, and dishes from the region’s best restaurants, along with opportunities to purchase specialty foods, fine arts, crafts, home goods, and enjoy demonstrations from celebrity chefs and wine specialists, the event has exploded in popularity over the years. 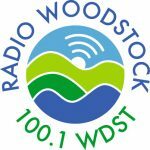 Presented by WineRacks.com, it is sponsored by 100.7 WHUD, the Poughkeepsie Journal and Camping world of the Hudson Valley. The event will be held at the Dutchess County Fairgrounds on September 7th (11am-6pm) and September 8th (11am-5pm) in Rhinebeck, New York. For more information visit HudsonValleyWineFest.com.